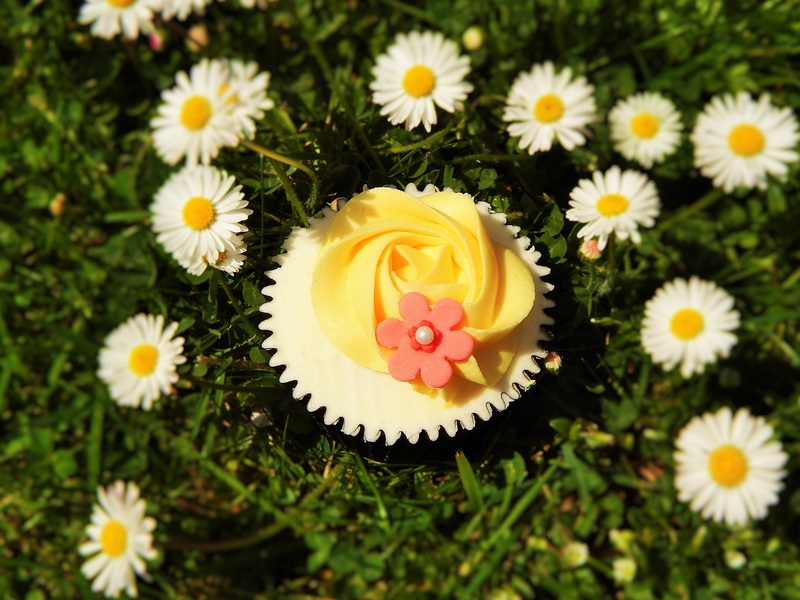 Today we’re lucky to have a guest post from Jennifer – who has her own website over at Jennifer’s Cakes. Jennifer has been running Jennifer’s Cakes for the past 4 years. The business is not the only thing that occupies her time though, as she is also a freelance writer. She’s been married for 3 years (which has flown by according to Jennifer – always a good sign!) with no bambinos as of yet. She loves all things baked and her husband always knows where to find her if she is not around in the early mornings – as once she gets an idea in her head, not even sleep can get in Jennifer’s way of testing out a new recipe. Jennifer’s other interests are travel and scuba diving – in fact she’s just come home from a 6 month trip to Ecuador and Peru, baking and diving all the way from the north of both counties, down to the south. It’s time to get to know Jennifer a wee bit better, before she kindly shares one of her favourite recipes with us! Who are your biggest baking inspirations and why? My biggest baking inspiration has to be my grandmother as without her, I would never have set up Jennifer’s Cakes. From a very young age, she had me in the kitchen baking alongside her. One of my fondest memories of my childhood was standing on a stall next to my grandma elbow deep in flour, learning how to make biscuits. We still make them together, to this very day. My go-to bake has to be a rich but light chocolate cake, it is always a winner with my family and it is super simple to make. See my recipe here. What’s the most challenging thing you’ve had to bake? I know it doesn’t seem challenging but the most challenging thing I have ever had to bake was a normal sponge cake in the Peruvian Andes. Situated over 9,700 feet above sea level, being at such high altitude can affect the structure of your cake, so using a normal recipe will end up looking like mush. The key is more flour, keeping the moisture levels lower land baking for longer can also help to achieve the correct consistency of your cake. I LOVE my Kenwood Mixer – It has taken me a very long time to bring myself to use this cool gadget, as I have always felt that mixing up the ingredients myself, with a little elbow grease is the best way to go. When I discovered the Kenwood Mixer, I had no idea how much easier and faster it is to whip up a batch of cupcakes in no time at all – marvellous creation, thank you Kenwood. What’s your sweet treat of choice when out for coffee/a meal? Ok, this is quite a difficult question as I love EVERYTHING baked. However, my baked good of choice has to be the hearty farmhouse carrot cake. I never used to enjoy this flavour cake until I made it myself, and I instantly fell in love, especially with cream cheese icing – mmmmmmmmmm! Set your oven to 180C and line a cupcake baking tray with paper cupcake cases. In a saucepan, pour in your boiling water, milk and tea bags and bring to the boil. Once your tea mixture has been brought to the boil, remove from the heat and leave the teabags to stew for an hour (until the mixture has cooled down to room temperature) leave to the side until later on. In a clean, dry bowl add your butter at room temperature and beat continuously for 5 minutes until the butter turns from a yellow colour to a pale cream colour. Once this colour change occurs, it means the butter is fully aerated. Now, add in the sugar and beat again until the mixture becomes light and fluffy. Add in your eggs one at a time, ensuring each egg has been taken up by the butter and sugar before the next addition of egg. Add in your pure vanilla extract and mix again. Now, sift in your flour and salt and fold the mixture together. Go over to your tea mixture and remove the tea bags, ensuring that your squeeze out the excess tea within the tea bags. Pour your tea mixture into the bowl with all of your ingredients 1/3 at a time, until all of the ingredients have been mixed together thoroughly. Now, pour the mixture into your cupcake cases, until they are 2/3 full. This will leave enough space for the cupcakes to rise in the oven without any overspill. Place your cupcake batter into the oven and bake for 20 minutes. Once your cupcakes are ready, they should spring back to the touch, or you will be able to insert a skewer into the centre of your cupcakes and remove it clean, without any batter on it. Remove your cupcakes from the oven and leave to stand in their baking tray for 5 minutes. Once this 5 minutes is up, remove the cupcakes from the oven and leave to stand on a wire cooling rack, until completely cold. 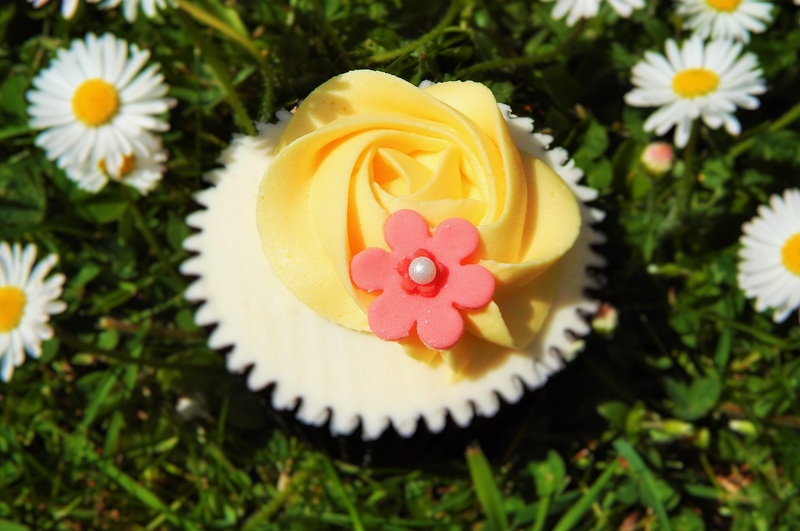 Whilst your cupcakes are cooling, this will leave the perfect amount of time to whip up your lemon butter cream icing. In a clean, dry bowl add your butter and beat continuously for 5 minutes, like you did at the beginning of the cupcake prep. Once the colour changes from a yellow colour to a pale cream colour, add in your icing sugar slowly. If you add your icing sugar too quickly, it will end up all over your kitchen other than in your butter cream. Once all of your icing sugar has been well incorporated, add in the juice from your lemons and the zest of one lemon and mix until your butter cream reaches the correct consistency. 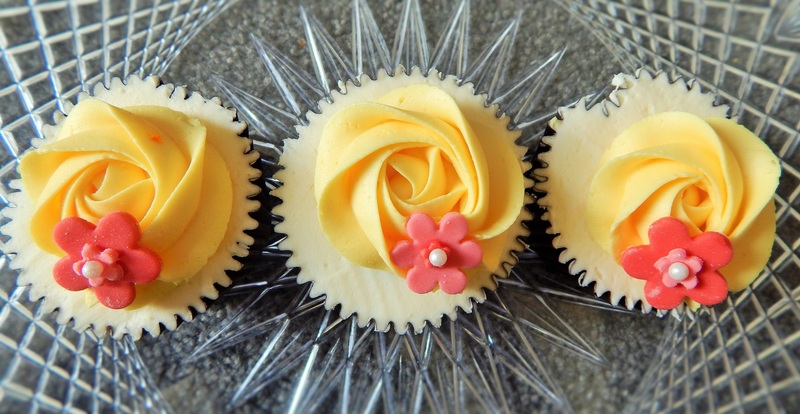 Now, your cupcakes should be ready to ice, so pipe on your butter cream and decorate as you fancy. These look utterly beautiful!! Must make them soon! !